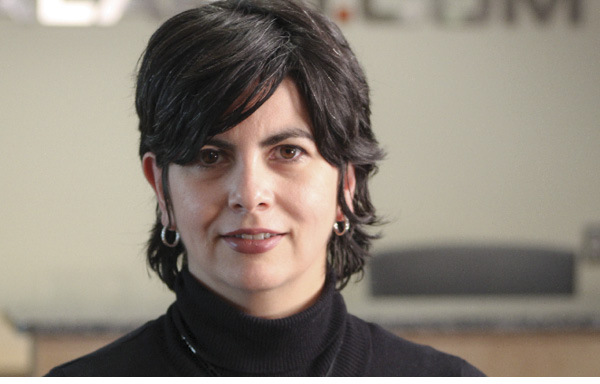 Magaly Garza has worked as international business manager at Vienna, Va.-based home automation and security technology vendor Alarm.com since February 2013. Responsibilities: International operations, including support for supply chain, marketing, pricing, legal, sales, and other areas. Experience: Marketing manager, Cerveceria Cuauhtemoc Moctezuma (now partly owned by Heineken); trade manager, Wine and Spirits Shippers Association; account manager, Panalpina; international trade consultant, Decision/Analysis Partners LLC. While finishing my degree in international commerce and business management, I had the opportunity to work at Cerveceria Cuauhtemoc Moctezuma, Mexico's largest brewery, which is based in Monterrey, my hometown. I gained experience in international logistics, export operations, and marketing, all of which served me well when I came to the United States and worked for the Wine and Spirits Shippers Association. Some of my most fascinating and rewarding work has involved delivering humanitarian aid around the world. For example, at Panalpina, I managed projects on behalf of the U.S. Department of Defense and the U.S. Agency for International Development. These projects involved designing logistics and supply chain management solutions for delivering wheelchairs, medicine, beds, ambulances, and other aid from remote locations such as China to Latin America, Africa, and other areas of need. Despite all the difficulties, it was rewarding to see the difference we made by getting these shipments to the people who needed them.